Join our mission: Improving lives of people with disabilities through meaningful work and community inclusion! Your donation goes directly to our programs and services and is safe, secure, and tax-deductible. Julio is a “graduate” of our WorkLink program and is one of our favorite success stories – as you can see from his huge smile, it was a delight working with Julio and helping him find a job that he loves. 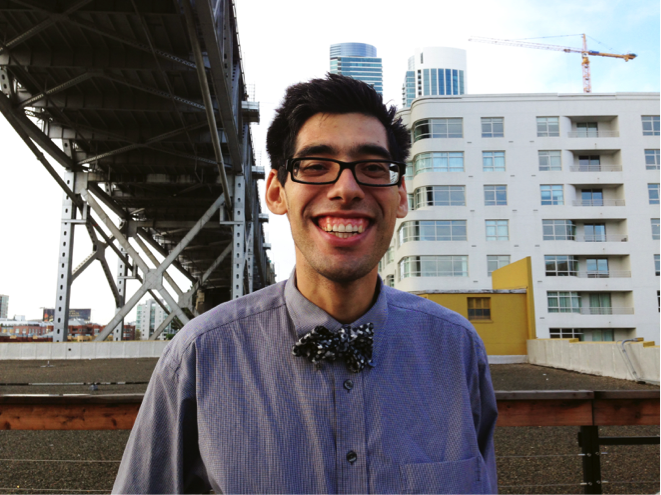 Julio Dominguez joined WorkLink after completing a high school transition program. He knew he wanted to work, but didn’t know where or doing what. WorkLink gave him a chance to explore his interests, and with the help of an expert team, he obtained his first job at Starbucks, and later, a position at American Apparel. After four years there, Julio wanted something more challenging; a position that was more career-oriented. WorkLink enrolled Julio an internship program where Julio had the opportunity to try many positions, explore his skills and interests, and obtain glowing recommendation letters from his supervisors.